Plinius hi-fi prices take a leap | What Hi-Fi? 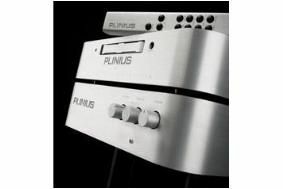 The full range of Plinius products, including CD players, pre-amplifiers, power amplifiers and phono stages, is affected, with the CD101 CD player rising from £3000 to £4100 and the 9200 amplifier up £800 from £3000 to £3800. The Tautoro pre-amp is now £7300 with phono stage (was £6500) and the SA-Reference power amp goes up to £12,650 (was £12,000). The M8 preamp rises to £3249 and the P10 power amp to £3390. The price rises reflect a growing trend across the audio industry, which has seen manufacturers raise prices despite the economic downturn.